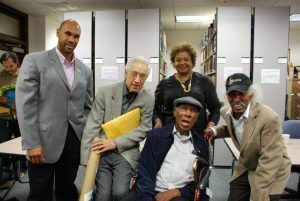 The Ralph J. Bunche Center for African American Studies at UCLA Kenny Burrell Archive of African American Music is a unique opportunity to chronicle and celebrate the wide-ranging impact of African American music, particularly as it has influenced and been influenced by the cultural and media crossroads of Los Angeles. 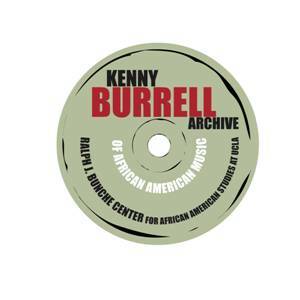 Burrell’s more than 90 studio recordings, biographical information, and career mementos are the cornerstone of the collection. The recordings and other memorabilia are organized for easy listening, viewing, or for more in-depth research endeavors. 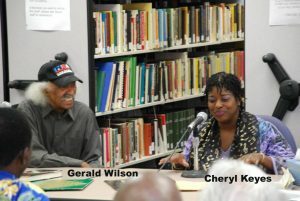 Other acquisitions will chronicle links between the evolving styles of African American music associated with Los Angeles at various points in time and the social and cultural history of the region. A special focus will be on popular music forms and related documentary materials. Burrell’s career spans more than 40 years and has changed forever the role of his instrument. He is a consummate musician, an innovator, a pioneer, and at UCLA, he is also known as a great teacher of music. Since creating the nation’s first regular college course on Duke Ellington in 1978, and then founding UCLA’s Jazz Studies Program, Burrell has maintained an important presence on campus. While his brilliance has been celebrated through the countless awards bestowed upon him, he has also been an outspoken advocate for making sure that jazz is recognized as the classical art form it is. Burrell is one of the true jazz legends of our lifetime. The Archive is housed in the Library and Media Center in 135 Haines Hall. Some of the collection will be preserved in its original form, but major portions of the collection will be catalogued and digitized to make it available to students, scholars, the public, and the music industry. The growing Archive will serve as an important research tool for broader disciplines, including music, history, and the social sciences. It will also sponsor talks, colloquia, and other programs designed to advance scholarly work on and public awareness of the tremendous legacy of African American music, particularly as it has intersected with Los Angeles social history. 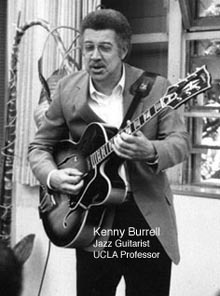 To support the Bunche Center Kenny Burrell Archive of African American Music please contact the Center at (310) 825-6060.